In the family room, overlooking Lake Joseph, upholstered furnishings and understated hues create a mood of ease and comfort. They call Muskoka “cottage country”—a region of 1,600 freshwater lakes surrounded by forests and cliffs, approximately two hours north of Toronto. For wealthy Canadians, the area is a getaway on the scale of New York’s Hamptons, a place where high-profile names arrive by floatplane to entertain guests in vacation homes that have less in common with cottages than they do with mansions. It was there that interior designer Anne Hepfer was commissioned to turn a lodge-like residence on the shores of Lake Joseph into a serene retreat for a couple and their extended family. Designer Anne Hepfer began her career in New York before launching her own firm in Toronto. 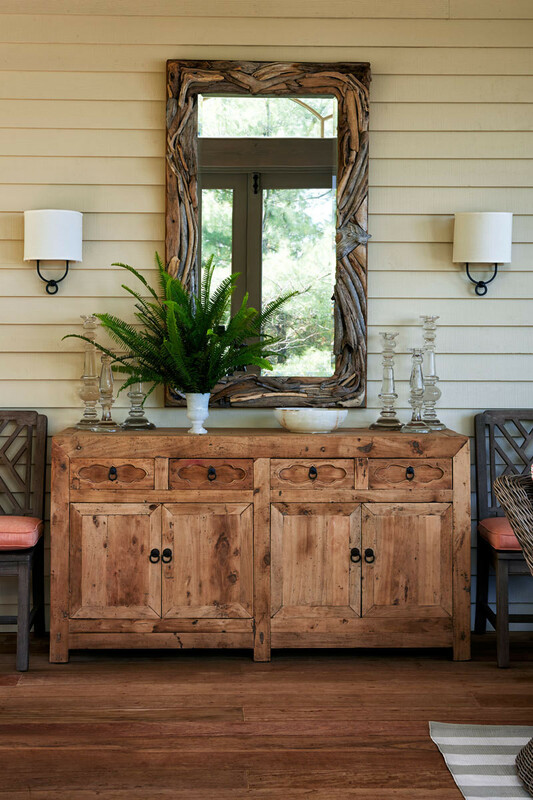 A driftwood mirror by local artist Paul Allen and an Indonesian buffet anchor one side of the screened porch. For the Toronto-based Hepfer, who originally trained under celebrated architect and designer Daniel Romualdez, the project was a natural fit with others in her portfolio: a collection of residences that runs the gamut from a 1937 Spanish-style compound in Miami Beach to a Gardner A. Dailey–designed house on San Francisco’s Telegraph Hill. “I am keenly aware of architecture,” she explains, “and how interior design works intimately with each architectural element of a space.” This home, set into the granite rock near water’s edge, makes the most of its location with high-ceilinged rooms and expansive windows looking out onto meditative views. Clear pine walls and reclaimed floors preserve a direct connection to the outdoors. 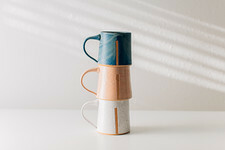 A pale robin's-egg blue provides a cohesive theme, accented throughout with shades of apricot, salmon, coral, and rust. The clients, Michigan residents who spend their summers in Muskoka with their children and grandchildren, wanted a casual yet polished interior with kid- and dog-friendly elements. “They are passionate cottagers who love to cook, entertain, boat, and have campfires,” says Hepfer. 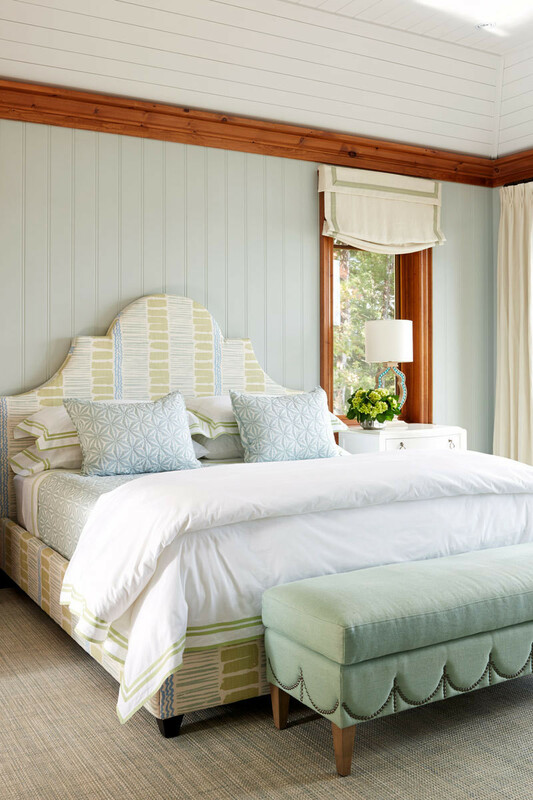 Inspired by classic beach homes in Cape Cod and Nantucket, the designer abstained from the tropes of lake-house decor—nautical stripes, wall-mounted canoes—in favor of a serene color scheme juxtaposed with interesting patterns and textures. 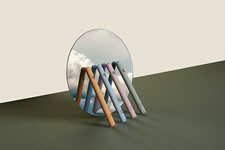 “The soft palette allows the views to shine and is gorgeous at all times of day,” she says. Simple white linen draperies frame vistas and add to the cocooning effect. Given the open-plan living and dining area and spaciousness of the rooms, form and scale were important components of the project. Hepfer echoed the shape of the circular window in the main living area with a pair of slope-arm sofas, a round seagrass cocktail table from Ralph Lauren Home, and a Mecox waterfall console accented with antiqued copper. 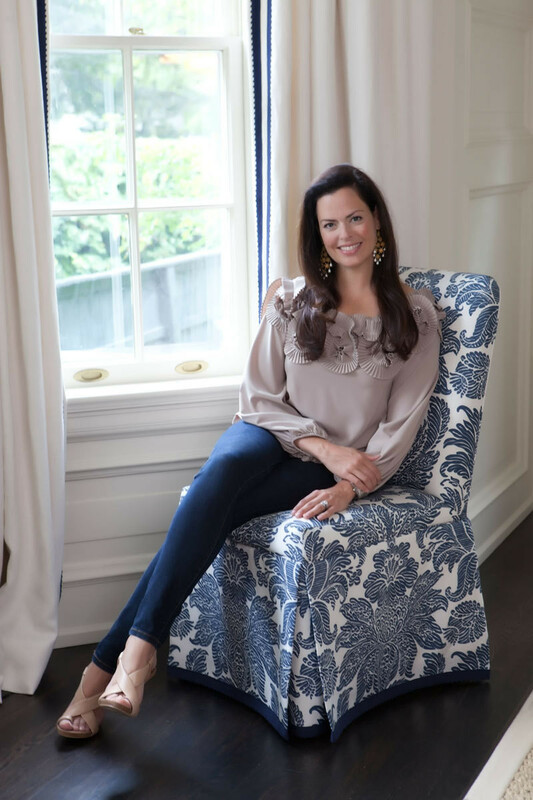 Two pale blue swivel club chairs by the window “make turning toward the view easy,” says Hepfer. "Restraint is important so as not to over-design," says Hepfer. "I like to keep things relatively simple." Hepfer designed the upholstered bed and bench in this bedroom. Shower walls of clear glass preserves the bathroom's airy mood. The project’s most significant addition was the three-season Muskoka Room. “Everyone on the lakes enjoys a screened porch, and this home was surprisingly built without one,” explains Hepfer. Ipe deck flooring and peaked ceilings of clear pine plank tie in seamlessly with the existing architecture; windows drop down into the wall to allow lake breezes to flow through. In a home full of restful gathering places, the Muskoka Room may be the most evocative of all—a timeless spot to enjoy for generations to come. 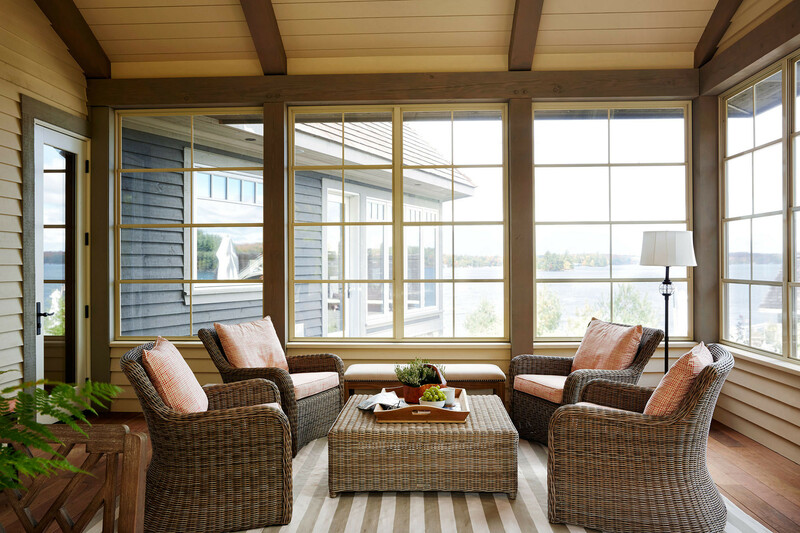 In the three-season Muskoka Room, ipe decking and furniture in handwoven wicker make for an indoor-outdoor atmosphere.